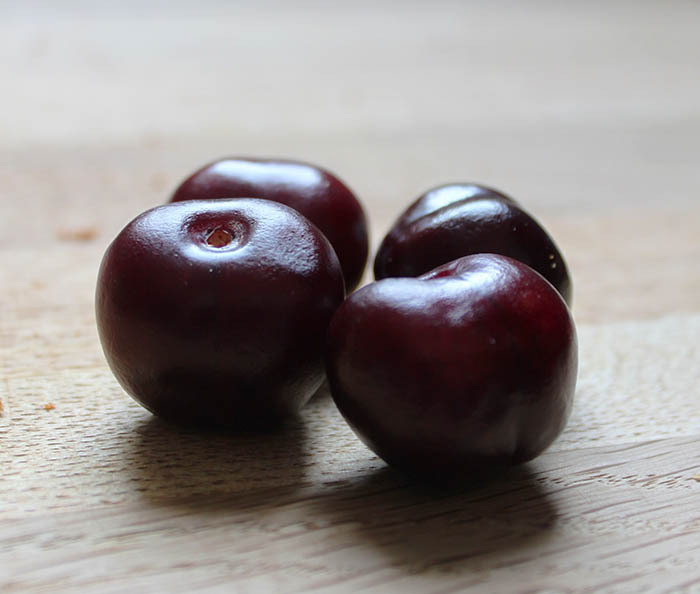 A couple of weeks back I bought a whole lot of cherries, while they were on special offer, most of them were just popped into my mouth and stone popped back out. (On a side note if anyone knows a way to eat cherries in a lady like manor – then do please let me know!). But some spent too long in the fridge, and went too soft. These I made into a compote, with sugar and limoncello (I had no kirsch). But what to do with this compote? Plain ice cream and a tablespoon of compote would have been fabulous, but instead I slightly altered a recipe I’d been meaning to try for quite a while. Smitten Kitchen’s Lemon Braided Bread. The great thing about the basic recipe is that it could be filled with almost any fruit or if you’re less fruit inclined there is always chocolate! In fact chocolate would be so amazing that I will try this recipe again, maybe with Nutella instead of compote. This recipe impressed me by just looking so darn cute, with the long braid, I was also pleasantly surprised that after my previous forays into braided dough – this one was much simpler to get right! 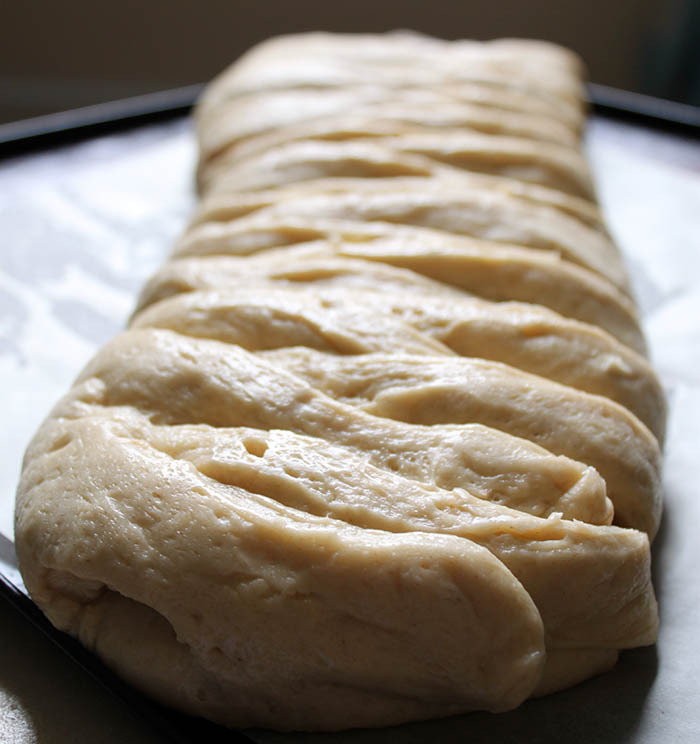 Instead of a pony tail braid, in this bread you are very much faking it, you are basically just folding strips of bread dough all the way down. The most complicated part of this whole recipe is moving the braid from where you created onto a baking sheet. My baking sheets are all too small to fit the rolled out dough on, so I couldn’t just make it in place. Deb came up with a wonderful suggestion of making it on parchment paper and then just transfer the paper to the baking tray – unfortunately I didn’t read that bit till it was way too late! 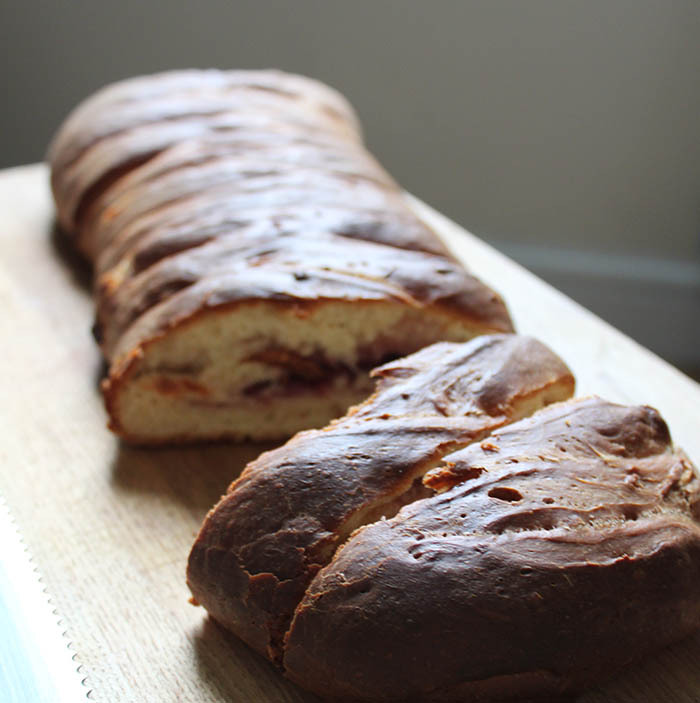 I really loved this bread, despite the problems I had getting it onto the baking tray, and the fact that I cooked for 10 minutes longer than I should have. 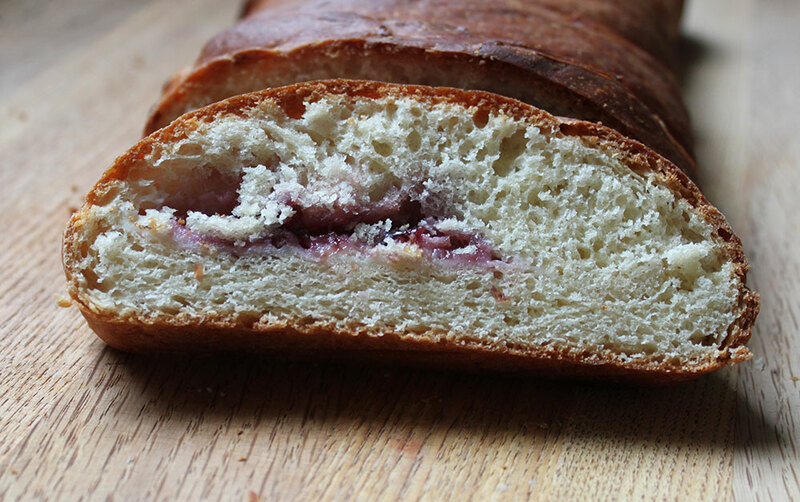 The cherries weren’t too strong, but just enough to lift the bread, and the cream cheese filling only gave it a creamy texture, yum. Lemon Braided Bread, instead of adding vanilla extract to the dough, I add almond extract instead. (As cherries and almonds go so well together).